America’s “Baby Boom” generation continues to age. And the average lifespan is increasing due to advances in medical care and medications. As a result, our nursing home population is expected to increase dramatically. Having to place a loved one in a nursing home is often a very difficult and emotionally draining decision. However, we have the right to expect they will be well cared for once they can no longer live independently. Unfortunately this trust is sometimes betrayed and elder abuse occurs due to negligent care including, as reported by CNN, sexual abuse. Under New Hampshire law, establishing liability and recovering compensation requires meeting the elements of negligence. In general, negligence law contains four elements: duty, breach, causation and damages. The NH Nursing Home Injury Attorneys at the Law Office of Manning & Zimmerman PLLC can help you understand each of these elements more thoroughly. The liability of a nursing home owner or employer may stem from negligent supervision/care, negligent hiring and retention of employees, negligent maintenance of the premises, and/or negligent selection/maintenance of equipment. In order to hold a nursing home liable for negligence concerning the treatment of a resident, the injured party must be able to prove that the nursing home owner/employee breached a duty of care owed to the injured person, that the resident’s injury was caused by this breach, and that the nursing home owner’s/employee’s conduct caused the injury. Abused nursing home residents are often reluctant or unable to reveal the harms and threats they face. It often rests with family members to look for troubling signs of abuse and take any necessary, appropriate legal action. This includes civil action to hold the nursing home responsible for any negligence that may occur. Any criminal actions are covered under the laws of New Hampshire that govern the abuse of the elderly. The NH Nursing Home Injury Attorneys at the Law Office of Manning & Zimmerman PLLC bring civil actions against nursing homes for abuse and neglect of their residents. Criminal actions are the purview of the New Hampshire Department of Justice. It is important to objectively evaluate the facts of the case before pursuing a civil action for institutional elder abuse. The NH Nursing Home Injury Attorneys at the Law Office of Manning & Zimmerman, PLLC provide aggressive yet caring legal representation to those whose loved ones have been the victims of institutional elder abuse. Our goal is to help our clients receive full and fair compensation for the injuries they have suffered. This includes any pain and suffering that has been sustained due to negligent care of the elderly. If you need help bringing a NH nursing home liability claim, or have any questions, including needing information about a nursing home requiring the signing of a forced arbitration clause, we are available to help. There are no up-front costs for our services. All personal injury cases are handled on a contingency basis. This means that we are only paid for our services if we successfully recover damages from the responsible party. For a free consultation, call (603) 239-2315, email us at info@MZLawNH.com, or contact us by using the “contact us” form or chat feature on our website. According to the Centers for Disease Control and Prevention, by the year 2030, three million Americans age 65 and over will live in nursing homes. Elderly residents in nursing homes and assisted care facilities need more care than most. As a result, they are more dependent on good quality care and professionals working in those facilities are held to a higher standard of care. Though most facilities meet this higher standard of care, many others do not, sometimes with tragic results. According to Masters in Health Care, more than 30% of all nursing homes experience some form of resident abuse, including sexual abuse of the elderly. When a health care professional fails to meet the standard of care and an elderly resident is injured, that facility may be the subject of a NH nursing home liability claim. This is an overview of how NH nursing home liability claims work and how a nursing home or assisted care facility may be liable for injuries sustained by an elderly loved one. That a duty of care was owed to the elderly resident. Any liability that is incurred must involve some duty of care. This is relatively easy to prove if the elderly resident was a patient or resident at a particular facility. There was a breach of that duty of care. Essentially this requires a showing that the care provided to the elderly resident was not up to the standards established by the medical care profession and standards for elder care. Evidence that can be used, for example, would be testimony from doctors or health care providers in similar facilities as to standard practices and procedures that should be employed to care for an elderly resident. For example, if an employee was not properly supervising an elderly resident with dementia and that resident wandered off the premises and was injured, then the facility providing that resident’s care could be subject to a NH nursing home liability claim for those injuries. Causation (the but for factor). This requires that the plaintiff (the injured person) prove that their injuries would not have happened but for the care provider’s negligence. It is the cause and effect part of the case. For example, if a health care provider allows an elderly person to walk unassisted on a wet floor and that elderly person falls and breaks their hip, liability is likely. Conversely, if an elderly person is at home visiting family for the weekend and is injured, the health care provider and facility would not likely be liable unless there was a medication error or some other negligence that contributed to the elderly person’s injury. Plaintiff’s (the injured person’s) damages. This refers to the actual damages incurred as a result of the health care provider’s breach of their duty of care to the elderly resident. For example, an elderly person slips and falls on a wet floor in a nursing home while walking unassisted. If that elderly person sustains injuries, such as a broken bone, the nursing home would be liable. However, if the elderly person was not injured at all from the fall, there would be no damages. In some cases, emotional distress and punitive damages are available to successful plaintiffs. 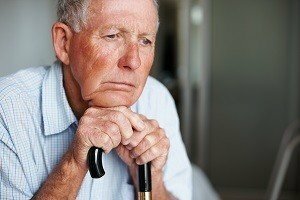 These are some instances in which nursing home and assisted care facilities could incur liability if they are negligent or do not otherwise provide health care to an elderly resident at an appropriate standard of care. Negligent supervision. This refers to a situation where the facility failed to exercise proper supervision of an elderly resident and the elderly resident was injured. Some examples of negligent supervision are improper hygiene resulting in infection, an elderly patient with dementia wandering off the premises, ignoring financial and physical abuse, improper feeding procedures, and slip and falls either due to improperly maintained premises. Negligent supervision of employees. Each facility has a duty to properly supervise its employees. If the failure to do so results in an injury to an elderly resident, the facility could be liable. Some examples would be mistreatment of an elderly resident, financial and physical abuse, leaving an elderly resident unattended, or failing to provide prescribed medications in a timely manner. Medication errors. This refers to a situation where a nursing home or assisted living facility makes a mistake on an elderly resident’s medication which results in injury. Some examples are administering improper medications, over-medicating a patient or failing to administer medication in a timely manner. Abuse. These are situations where the elderly resident is being abused by a staff member at the nursing home or facility. Some examples include sexual abuse, financial abuse, physical abuse, and sexual harassment. Wrongful death. This occurs when an elderly resident dies as a result of the assisted care facility’s negligence. Failure to properly maintain the premises. These are situations where the premises are not maintained according to medical and established practices. For example, if the premises are not kept clean and up to the hygiene standards established by the medical profession and other state laws and an elderly resident becomes ill because of it, then the nursing home or assisted care facility would be liable. These are just some of the signs to look for if you have good reason to believe that a loved one in an assisted care facility is not being cared for properly. Infections, wounds, bruises, or broken bones. Signs of fear, distress, disorientation, or other discomfort with the elder care facility. Any changes in the elderly person’s emotional or physical well-being. Loss of contact with the elderly person whom you once communicated with regularly. Depleted bank accounts or changes in spending habits such as taking out new credit cards or unexplained charges or large amounts of cash being withdrawn from accounts. Changes in mood or behavior. For example, if an elderly person who once trusted family members now starts accusing a family member or others of stealing or other inappropriate behavior when there is no basis for it, it could be a sign that the elderly person is being manipulated or otherwise abused. If you need help bringing a NH nursing home liability claim, or have any questions about a nursing home requiring the signing of a forced arbitration clause, we are available to help.